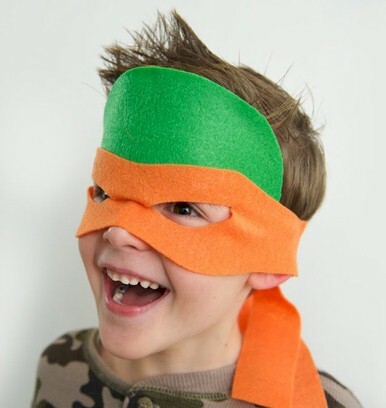 This No-Sew Mutant Ninja Turtle Costume will be a hit on the Halloween circuit this year and it is so easy. So take out some simple materials and get to work before Halloween gets. here. 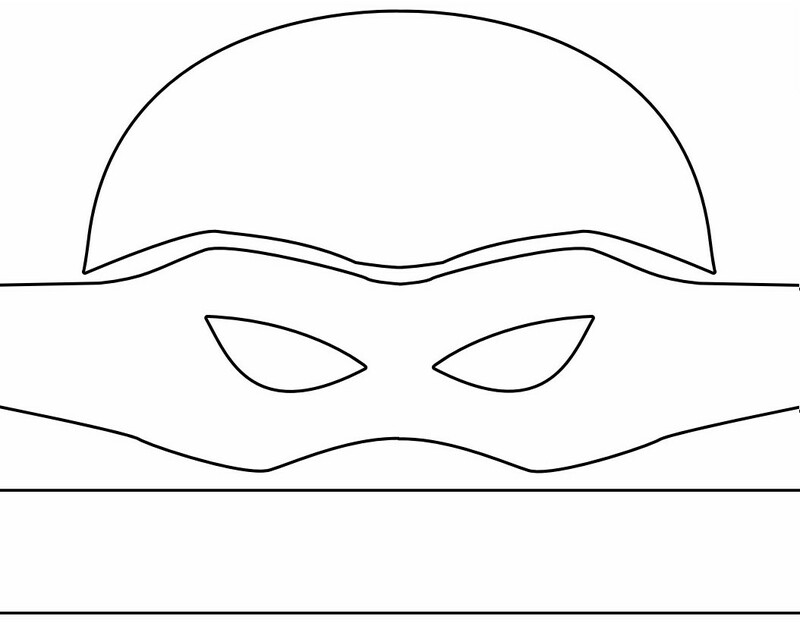 Print off the mask template. Next, trace the pieces and cut them out. 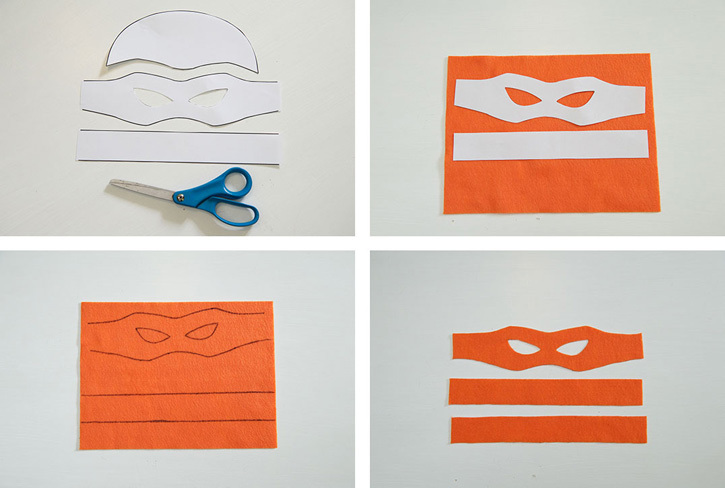 Repeat the same steps to create the top of the turtle head. Glue the mask together. 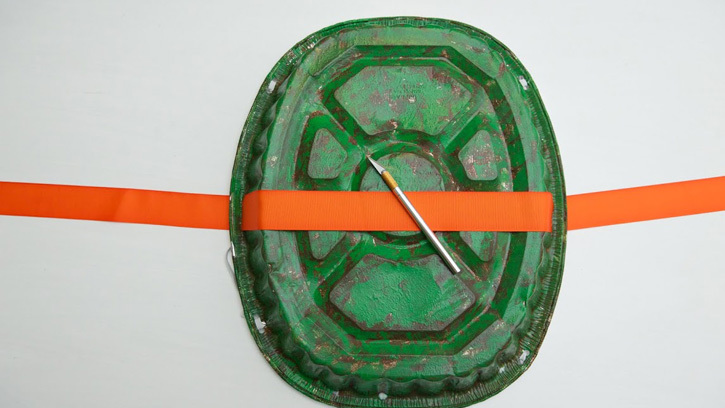 Star on the side of the mask first, then add the top of your turtle head using a small amount of hot glue. 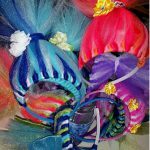 For the last step, add adhesive Velcro to the back of your mask and your little ones are ready to have some fun. Paint your shell. I used two coats of paint, first the brown dabbing the brush over the shell for a sponged look. Let the brown paint dry 20 minutes. Next, add the green paint using the same sponging technique to see the brown popping through. 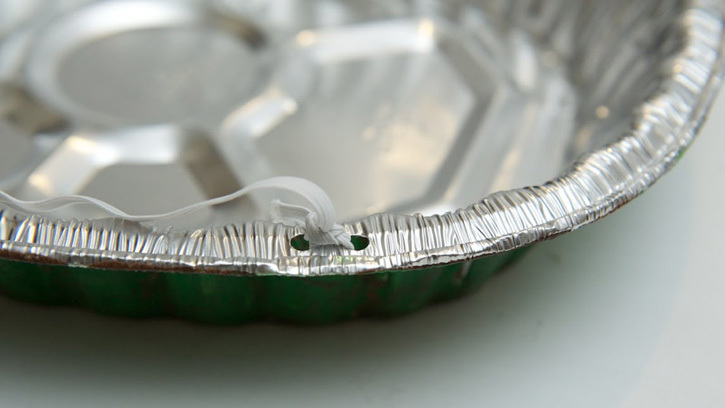 Add a layer of Mod Podge to help prevent the paint from chipping off the foil. Add straps so kids are able to wear the shell like a backpack. Punch holes first, then add elastic strips. Choose your favorite turtle and add a belt. I used an X-Acto knife (parents only for this part) and cut strips on the side, then slipped in the ribbon. Lastly, I added another adhesive Velcro strip to finish off the belt.